Land Survey - the company owns one of the largest land survey practices in South Africa with dedicated resources to calculate and peg thousands of residential stands per day, if required. 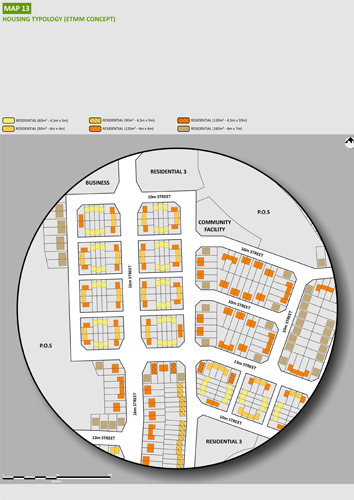 The in-house professional services on offer has the added benefit of accurate base plan compilation, topographical, photogrammetric, sectional title and sub-divisional surveys, base plan mapping and general plan calculation to the benefit of prioritized housing projects. 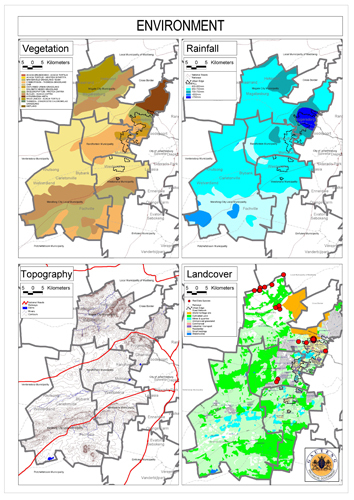 GIS - the company is further a shareholder in an established Geographic Information Systems company which facilitates the creation and maintenance of complex systems and highly intricate planning involving databases to consider topical trends in land use, socio-demographic profiles, economic and environmental factors, as well as the funding and administration of projects. This proficiency allows for accurate and comprehensive analytical processes and thematic mapping which are indispensable to most urban and rural planning projects. Community Facilitation - Urban Dynamics adheres to a transparent and non-prescriptive approach to the implementation of development projects. For this reason, its experienced team of facilitators specializes in the implementation of projects and conflict mediation, which does not only evolve in the field of Town Planning, but also in respect of infrastructural installation and other community matters. Drafting Services (CAD) - The technical departments within the company are supported by a team of specialist draftsman using some of the latest design software as well as large format digital scanners and plotters. The recent addition of dedicated graphic artists to this team further focuses these services towards urban design and marketing-related initiatives. Administrative and Financial Support - The support of highly qualified personnel are often the key to successful project management and resource coordination. The administrative and financial staff at Urban Dynamics offer secretarial support, project administration, record archiving, client relationship services, project and budget control, financial expertise as well as photo quality professional document preparation, production and reproduction. Our highly qualified staff is supported by the intensive utilization of the latest computer technology to ensure effective production, management and co-ordination of all projects. The use of advanced IT communication infrastructure between our various offices enables Urban Dynamics to supply a full range of services anywhere and at any location. The IT backbone of the company includes an extensive local and remote (VPN) computer network, dedicated communication (e-mail and web), file servers, on site and remote back up servers, extensive web-based communication bandwidth and the latest integrated network peripherals..